The Zooey Deschanel/M. 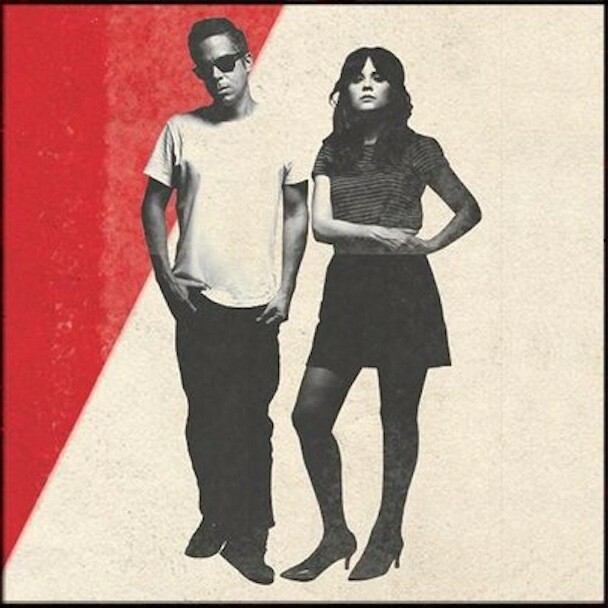 Ward duo She & Him signed to Columbia earlier this year, and last week, we learned the details of Classics, their first album as a major-label act. The album is a set of jazz and pop standards, which the duo recorded live with an orchestra. We’ve heard their take on Dusty Springfield’s “Stay Awhile,” and now they’ve shared their version of “Time After Time,” which is not the Cyndi Lauper song you’re thinking of. Instead, this is the jazz standard that Sammy Cahn and Jule Styne wrote in 1947. Frank Sinatra sang it in the movie It Happened In Brooklyn, and people like Chet Baker, Shirley Bassey, and Alex Chilton have covered it over the years. The She & Him version is jauntier and lighter than most, but it’s not like these two are doing some sort of self-conscious indie version. It’s a straight read of the song, and Deschanel sings her parts really well. And in other She & Him news, the band has been in media-blitz mode for the last 24 hours. They were the musical guests on last night’s Tonight Show, singing their version of “Stay Awhile” with the Roots backing them up. And this morning, they were on The Today Show. The Today video hasn’t surfaced online yet, but you can listen to their “Time After Time” and watch the Tonight Show performance below. Classics is out 12/2 on Columbia.